Ready to panic? Thanksgiving is next week! Destressing will be crucial as we prepare for the season ahead, and what better way to do so than with rad live music. This weekend, we recommend eclectic Americana, classical/folk, and a wonderful day of music in support of a great cause. Get out, enjoy Austin, and always listen local! Americana bluegrass, folk, and the occasional sting of classic rock-and-roll, The Cover Letter never ceases to surprise. The group’s latest single “Ghost” opens with whisper vamps and soft, subtle guitars, and builds into a crescendo of military drums and shout-along harmonies. Other tunes like the rock/folk groove of “Lies,” the ’70s garage rock scorch of “Somethings,” and the wonderfully boisterous four-on-the-floor bluegrass thump of “Her Eyes, The Ocean” cement this six-piece as a force to be reckoned with. Also playing is pysch-pop band The Human Circiut, indie pop act Cosmico, and moody post-punk band Henry the Archer. A swooning blend of Americana folk, classical arrangements, and country charm, American Dreamer conjures memories and creates dreams with every song. “Run, Run, Run” off the latest record “Go Where You Go” is an upbeat clap-along, punched with string stabs and chugging percussion. Other standouts include a lovely cover of Fiona Apple’s “Criminal” (off the band’s live EP) and the hauntingly beautiful instrumental “Mid-Day.” If you dig bands like Mother Falcon, American Dreamer my become your new favorite band. Expect an eclectic display of music prowess this Saturday at the Saxon. An incredible lineup in support of an important cause, All ATX celebrates the organization’s latest compilation album this Sunday at the Four Seasons. 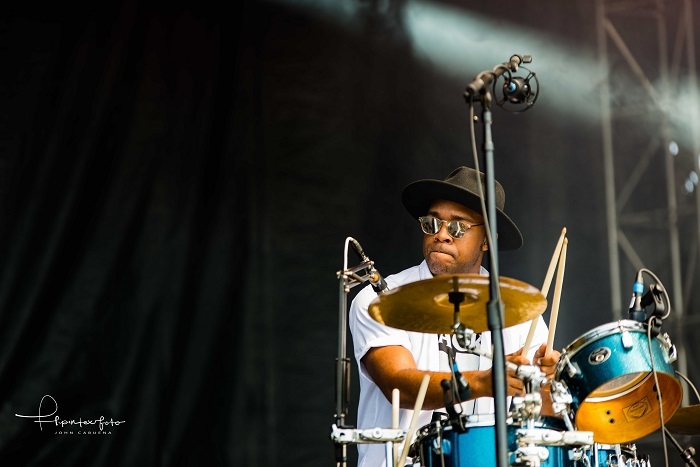 An educational group that supports music nonprofits like Health Alliance for Austin Musicians, SIMS, Austin Music Foundation, and Black Fret, All ATX’s annual album and shindig helps fund these charitable projects and causes. With a bill full of local talent, there’s no shortage of reasons to close out your weekend with this one-of-a-kind concert event. 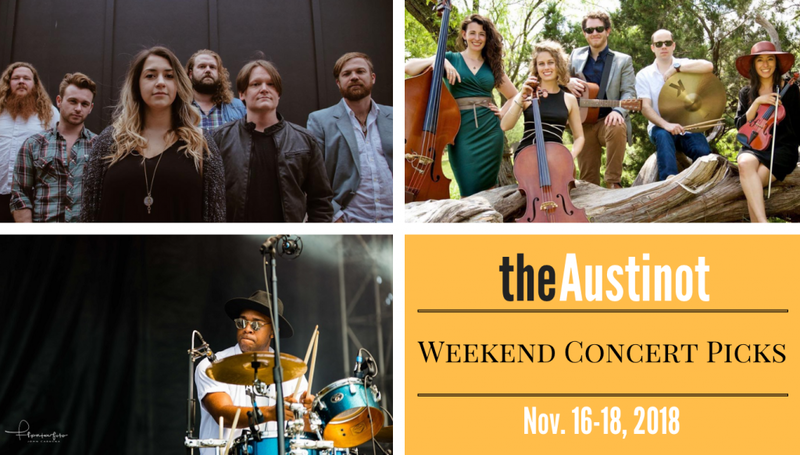 Where are you going for live music this weekend in Austin?